3D printing - DAMN Riders - No rules, Just ride! That's cool! Did you actually print out the mount? I did print off a super fast test piece (very little filler material so basically hollow). Took about an hour to make. Easy enough, just go back to the CAD drawing and move that mount forward and down. 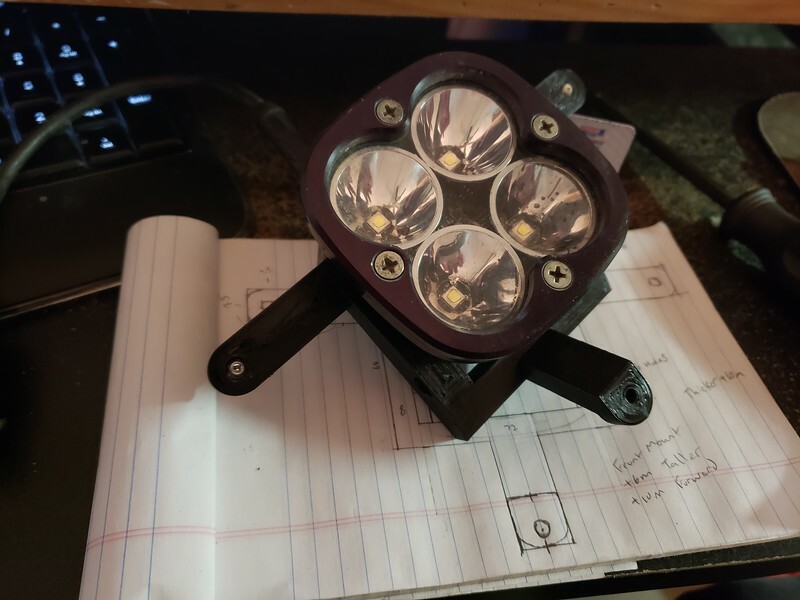 Also need to move the holes for the light itself a bit as I have it too low in the mount. Last edited by gots_a_sol on Tue Jan 22, 2019 8:53 am, edited 1 time in total. Cool. Is it plastic? Strength? Can you use different materials? 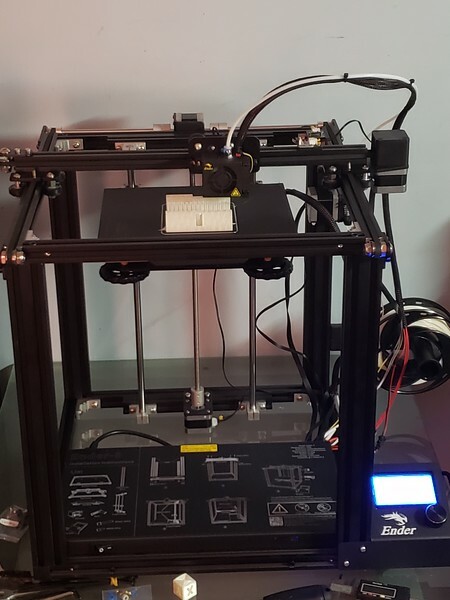 It is only plastic but there are a bunch of different types of plastic filament available with different properties depending on what you are doing. I'm printing these parts quick with almost no filler (hollow) so they are pretty weak. Once I get the bracket dialed in I'll print it solid. I'm just doing this in the most basic plastic you can get (it is cheap to screw up) and will see how it holds up or if I need to move to something stronger. This stuff is very rigid so I dont know how well it will be in a dirt bike environment, might need something with a little more flex. you could make a nice living making parts just for the DAMN guys! That is cool. 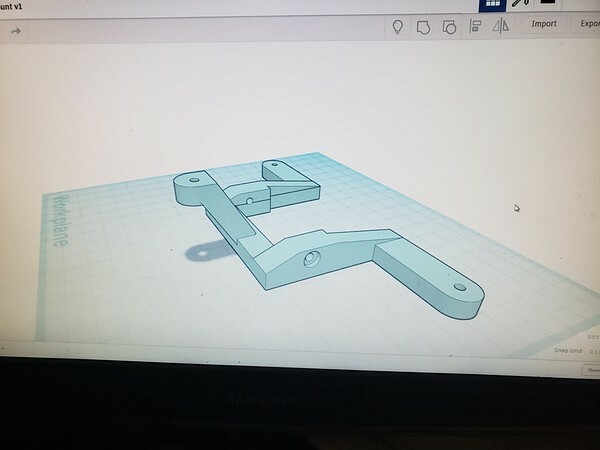 My son is a CAD whiz (V Tech, Aerospace) and has printed me up some bits over the years. As was said above, you can adjust the "density" of the print and most of the filaments make for very durable results. 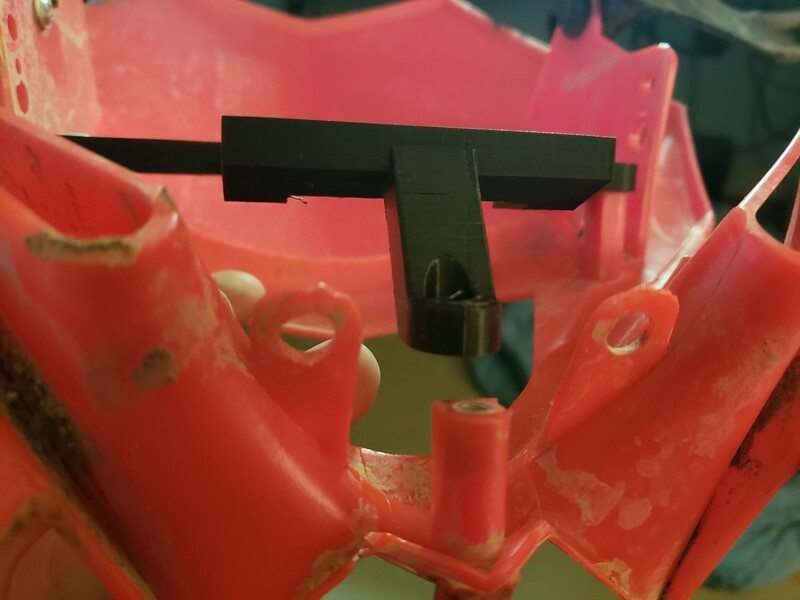 One thing he did for me some time ago was print me up a rear fender mounted license plate bracket when I removed the oversized tail light/bracket on an XR650L...worked great and never failed, even when I did!